The baby had just been born, the sounds of the animals huddled in the stable are the backdrop to the quiet cooing of the child. Mary and Joseph in wonder. They feel both terrified and in awe. They live, for these moments, in what I have come to know as a thin place, the place where the space between heaven and earth is so thin, it is as though they touch. It is here that Mary and Joseph live as they hold Jesus, the son of Mary, the son of God. Remember when your first child was born. Fall back to the quiet of her sleeping in your arms. Feel him again in your arms, quietly squirming and wrinkling his nose. Remember the smell, the wonder, the quiet. 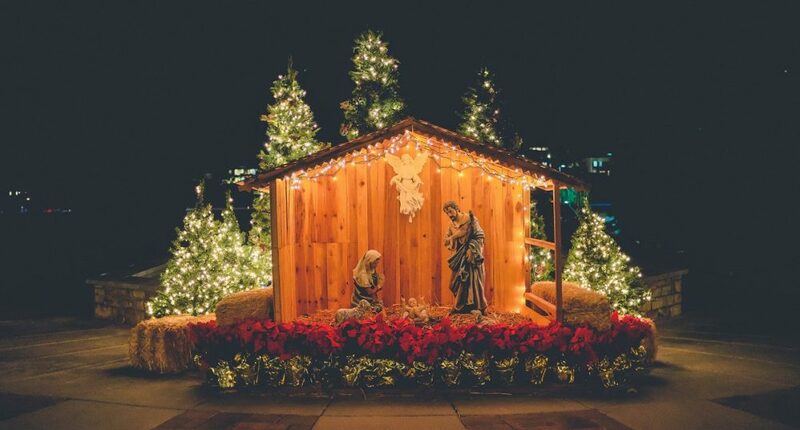 Jesus entered the world, not with fanfare or parades, but in the quiet of sacred moment, in a stable, surrounded by a world full of chaos and the nearly numbed longings of a desperate people who had waited for over 400 years for the voice and movement of God to penetrate their hopeless, dark, violent and broken lives. Now, Jesus had come, marked only by a star and an announcement to the most lowly of people, shepherds. Jesus had come. The prayers of the people had been heard and the world had changed, and so very few recognized it. We too long for the arrival of Jesus. Our world, our families and ourselves experience the dark, hopelessness, violence and brokenness that lead to desperation. Think of the past month of news in your life, in your family, in the lives of friends, and in the world. As you recall moments, what is the longing you experience? Jesus has come. He has broken into the world with hope, peace, joy and love. May your heart prepare Him room, for He has come to make His blessings flow far as the curse is found. Cari is the Executive director of Urban Skye, author of Listen & Live, speaker and a pastor to those who do not have one. With 20 years of local church experience, Cari now uses her gifts and experience to make the Kingdom of God tangible through relationship as a gatherer, teacher, encourager, pastor, mentor and friend. Cari lives in Englewood, Colorado where she loves to host, redecorate daily, play often and create beauty. She aims annually to host over 500 people for meals in various forms and to encourage true hospitality in others. You are always welcome at Cari’s table!